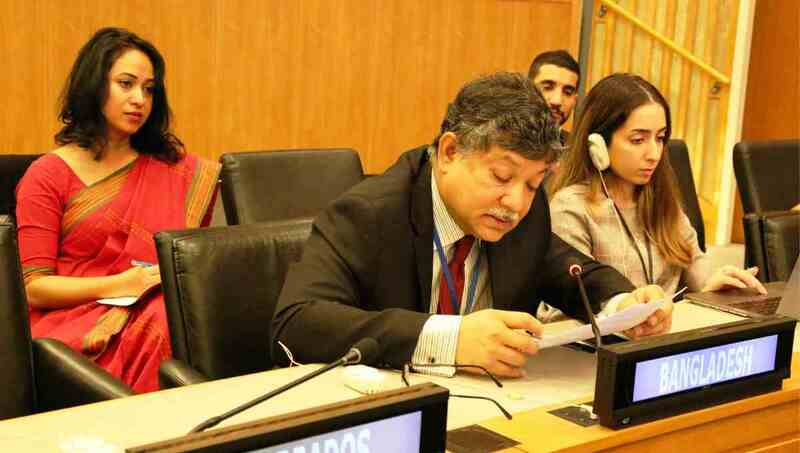 Dhaka, Oct 16 : Permanent Representative of Bangladesh to the United Nations Ambassador Masud Bin Momen has said the implementation of 2030 Agenda and Sustainable Development will largely depend on success in halting global climate change and reducing disaster risks. He laid emphasis on having more focused discussion on climate finance and climate justice to put the world on track to meet pre-2020 ambition and long-term goals of Paris Agreement. “While we have been making efforts mostly with our own resources, it is essential that our development partners provide financial resources and ensure technology transfer to assist us with respect to mitigation and adaptation and disaster risk reduction,” said the Ambassador. Ambassador Momen was addressing the plenary of the second committee of the 73rd session of the United Nations General Assembly on Sustainable Development at the UN headquarters in New York on Monday. He also said they expressed their deep concern over the findings of the IPCC Special Report on Global Warning of 1.5 degree Celsius that warn them about the dangerous consequences that would follow particularly in the areas of poverty eradication, food security and public health if we fail to limit the global warming to 1.5 degree Celsius. “It is high time that we renew our efforts to implement the Paris Agreement and the Sendai Framework to their true letter and spirit,” said Ambassador Momen. Prime Minister Sheikh Hasina reiterated her government’s commitment to the Paris Agreement at the High Level Leaders’ Dialogue convened by the Secretary General and said Bangladesh will never exceed the average per capita emission of the developing world, he added.